A devastating forest fire in Greenwood, Arkansas, destroyed the home of popular internet author, Susan52. On Thursday, July 26 at exactly 6:08 p.m., Susan posted on Facebook, "FIRE in the back, behind our house. Wind's blowing Please pray!" And 3 comments later, at 6:48, Susan's neighbor posted, " Sorry Susans has burnt down!" Being in touch with our friends via Facebook is usually a fun event. Watching this happen was devastating to all of Susan's many friends. I was totally shocked, concerned, and anxious as I continued to follow the updates for the next few hours. Yes, Susan had been home alone at the time. Yes, she escaped with her precious pets and her car. She left her phone in the house, someone noted. We join Susan in thanksgiving - her family is safe. Relief continued as Susan's family and friends posted from Arkansas. Those of us who live in other places around the world grabbed those precious bits of information and notified others in Susan's on-line world. It was a day of lessons for most of us. We were reminded of the possibilities for life to change ever so fast --for a normal day to turn into a life-changing event in a matter of minutes. We were touched by the response of Susan's local and on-line community, the Red Cross, the Fire Department and her family, friends and neighbors. We were thankful that we could electronically "be with Susan" throughout the disaster. There are news videos listed too. A brief glimpse into the personalities that make up the real Susan52. Join Susan's friends in keeping her many Squidoo lenses active while she deals with the loss of her home. How many of Susan's lenses will you visit today? Susan's Adorable Dog Daisy Escaped the Fire, Too! How do I know Susan? I had always admired Susan's work on Squidoo. 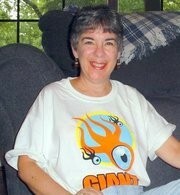 Then in 2008, Dianne aka stargazer00 invited me to join a private ning with a few other lensmasters. What a blessing! Brenda aka TreasuresbyBrenda, Carma aka Tandemonimom, Susan, Dianne aka Stargazer00 and I have visited and supported each other in that little group for over two years. We chat almost daily about everything from families and friends to new sites we have discovered. We have learned so much from each other, I honestly think we have a book right on our little ning. We celebrate each other's victories and encourage each other through the rough spots. If you are not yet a part of a small group on line, I highly recommend it. Simply find six people you genuinely admire and respect on line and invite them to join the group. Ning makes it easy for small groups to communicate. You can also use Yahoo email groups. Whatever format you use, do take advantage of the opportunity. It really helps to have a home base on line. Do you know Susan Deppner? Have you contributed yet? What shocking news this is! I love visiting Susan's squidoo lenses. I'm so relieved that Daisy is OK and that Susan was there at the time to hopefully save as much as she could. Fireworks are banned in Australia and I think should be banned everywhere except for professionals. My thoughts and well-wishes go to the family! Thank you, Joan, for your updates on Susan. It's nice to see her here again online. Susan, I hope that your life will soon regain a bit of normalcy. Keep strong. Yes indeed, Peggy! Susan is gradually on line more and things are settling down. They will move into temporary-permanent housing soon. How wonderful to see her online again -- and today is her birthday, too! Happy birthday, Susan!! I've seen Susan around the Web here and at Squidoo. I do hope her family is settling in somewhere and all is well. Thanks for putting this together, Joan. Susan, you are in my prayers. Thank God you and your family are safe! Thank you for keeping us updated and for being such a caring person, Joan. =D I'm still praying for her. That was a terrifying news which was coming with a powerful blow, I was shocked! I hope all our prayers, friendship, attention will help the family. I hope the normality will come soon, and I am glad all of them in the family are alive. Susan you are in my mind, prayers, and I am sure the new beginning is around the corner, and the new life will be better. Just don't give up hope, I send you positive energy and all my love.